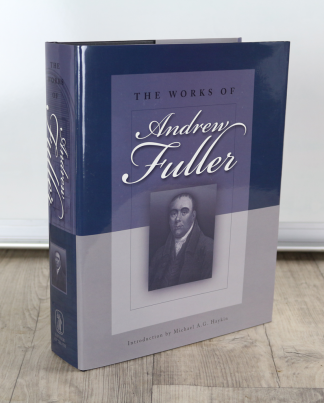 At the recent Grace Baptist Assembly (The Hayes, Swanwick: 30 April-2 May 2013) Jeremy Walker gave a paper on Andrew Fuller. He was evidently quite moved when he came to the death of Fuller, so observes Gary Brady. Among the quotations was Spurgeon’s letter to Fuller’s son following the publication of the biography he wrote of his father. I thank you for sending me your Andrew Fuller. If you had lived for a long time for nothing else but to produce this volume, you have lived to good purpose. I have long considered your father to be the greatest theologian of the century, and I do not know that your pages have made me think more highly of him as a divine than I had thought before. But I now see him within doors far more accurately, and see about the Christian man a soft radiance of tender love which had never been revealed to me either by former biographies or by his writings. You have added moss to the rose, and removed some of the thorns in the process. . . . . I cannot refrain from expressing in a few words the sentiments of affectionate veneration with which I always regarded that excellent person while living, and cherish his memory now that he is no more; a man, whose sagacity enabled him to penetrate to the depths of every subject he explored, whose conceptions were so powerful and luminous, that what was recondite and original appeared familiar; what was intricate, easy and perspicuous in his hands; equally successful in enforcing the practical, in stating the theoretical, and discussing the polemical branches of theology: without the advantage of early education, he rose to high distinction amongst the religious writers of his day, and, in the midst of a most active and laborious life, left monuments of his piety and genius which will survive to distant posterity. Were I making his eulogium, I should necessarily dwell on the spotless integrity of his private life, his fidelity in friendship, his neglect of self-interest, his ardent attachment to truth, and especially the series of unceasing labours and exertions, in superintending the mission to India, to which he most probably fell a victim. He had nothing feeble or undecisive in his character, but, to every undertaking in which he engaged, he brought all the powers of his understanding, all the energies of his heart; and if he were less distinguished by the comprehension, than the acumen and solidity of his thoughts; less eminent for the gentler graces, than for stern integrity and native grandeur of mind, we have only to remember the necessary limitations of human excellence. While he endeared himself to his denomination by a long course of most useful labour, by his excellent works on the Socinian and Deistical controversies,1 as well as his devotion to the cause of missions, he laid the world under lasting obligations. I earnestly wish the students may steer clear of the ditch and the quagmire. It is of vast importance for a minister to be decidedly on the side of God, against himself as a sinner, and against an apostate world. Nor is it less important that he have an ardent love to Christ, and the gospel of salvation by free grace. I wish they may so believe, and feel, and preach the truth, as to find their message an important reality, influencing their own souls, and those of others. Let them beware of so preaching doctrine as to forget to declare all the counsel of God, all the precepts of the word. Let them equally beware of so dwelling upon the perceptive part of Scripture, as to forget the grand principles on which alone it can be carried into effect.